President Trump on Wednesday tapped the Veterans Affairs Department's chief of staff to lead VA on a temporary basis, as the previous acting secretary awaits confirmation to serve as permanent secretary. 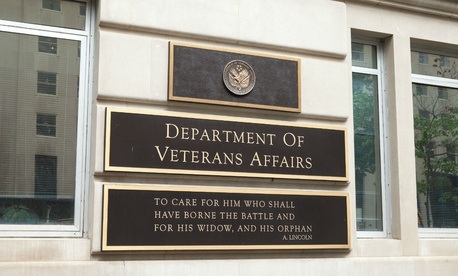 Peter O’Rourke has now been twice elevated at VA since he first joined the Trump administration to serve as the first ever executive director of VA’s Office of Accountability and Whistleblower Protection. Trump first created that office as part of his effort to ease the process of removing poorly performing and misbehaving VA employees. It was later codified in law under a measure Trump signed in June 2017. O’Rourke, a veteran of both the Air Force and Navy, received some criticism for the implementation of that law, with Democratic lawmakers alleging VA had overstepped congressional intent. VA has faced backlash for using its new authorities to disproportionately fire lower-level employees. Republicans have also raised some concerns about the enforcement of the law’s provisions, though VA has denied any wrongdoing. O’Rourke was promoted to chief of staff following an inspector general report that found former VA Secretary David Shulkin’s chief of staff had doctored an email from an ethics official to justify Shulkin bringing his wife on official travel. O'Rourke continued in the chief of staff position after Shulkin’s ouster and Robert Wilkie taking over as acting VA secretary. VA stated that O’Rourke would ensure “that the department works closely with the White House going forward.” He continued to serve as executive director of the accountability office. Trump announced earlier this month he was tapping Wilkie to serve as VA’s permanent secretary. Under the Federal Vacancies Reform Act, Wilkie was required to step down from his acting role while he awaits confirmation. He is now back in his position at the Defense Department, serving as undersecretary for personnel and readiness. Jacquelyn Hayes-Byrd, who was O’Rourke’s deputy, is now serving as acting VA chief of staff.